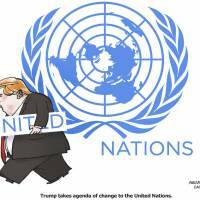 CANBERRA - On Tuesday, U.S. President Donald Trump delivered a 42-minute address to the annual gathering of world leaders in the General Assembly of the United Nations. His past statements on the world body have been a mix of ignorance and hostility; his scripted address was described in a Guardian editorial as “bluster and belligerence.” Another columnist noted that Trump’s tone channeled past U.N. speeches by Nikita Khrushchev, Fidel Castro and Hugo Chavez more than any previous U.S. president. Trump demonized Iran as “a corrupt dictatorship … (and a) rogue state whose chief exports are violence, bloodshed and chaos.” Reprising familiar attacks, he belittled the Joint Comprehensive Plan of Action (JCPOA) as “one of the worst and most one-sided transactions” that Washington has “ever entered into” and “an embarrassment to the United States.” He insisted that “we cannot let a murderous regime continue these destabilizing activities while building dangerous missiles, and we cannot abide by an agreement if it provides cover for the eventual construction of a nuclear program.” In his parallel universe, while he attacked Iran for exporting terrorism, Saudi Arabia was praised as a responsible ally in the war against terrorism and Islamist extremism. The apparent determination of the Trump administration to break the painstakingly negotiated Iran nuclear deal is causing global alarm. On Aug. 8, a 48-strong galaxy of American policy and scholarly elite issued a forceful statement that the JCPOA was continuing to prevent Tehran from pursuing the nuclear weapon option and that unilateral U.S. withdrawal from the deal would put the U.S., not Iran, into noncompliance. On Monday, 76 European political, diplomatic and military leadership figures, members of the European Leadership Network, published a group statement on the Iran nuclear deal. The statement makes the case that any unilateral U.S. action that jeopardizes the July 14, 2015, Iran nuclear deal would harm U.S.-Europe relations, particularly if U.S. nuclear-related sanctions on Iran were resumed. Such developments would also cause profound damage more broadly to global nuclear orders and adversely affect the prospects for a diplomatic resolution of the North Korean nuclear crisis. The JCPOA imposes a robust transparency, inspections and consequences regime. Iran’s nuclear activities are capped under close international inspection in return for easing of sanctions. The International Atomic Energy Agency (IAEA), which monitors the arrangement, continues to certify Tehran’s full compliance with the JCPOA. Successfully addressing proliferation challenges strengthens the legal, moral and political authority of proliferation norms. Conversely, a failure anywhere will have repercussions everywhere, well beyond the Middle East. Nuclear threats in the Asia-Pacific region would only be heightened by any unravelling of the unique JCPOA deal backed by unprecedented levels of international verification. In mid-October, the Trump administration will report to the U.S. Congress on whether Iran continues to comply with the nuclear deal. 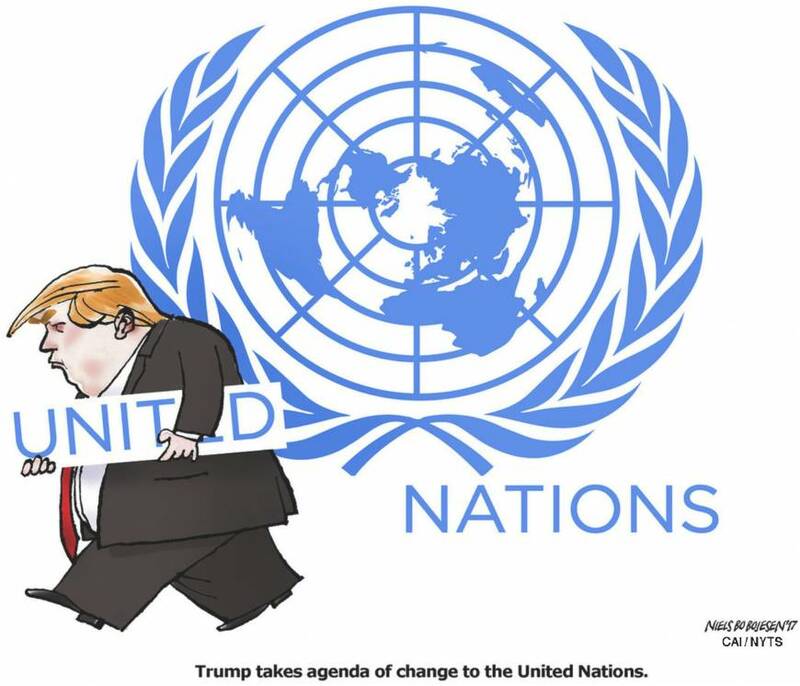 Credible reports, based on statements such as that of Haley to the AEI and now Trump’s own speech to the U.N., suggest that he is looking for a way to justify declaring that Tehran is no longer in compliance with the deal. A unilateral finding of noncompliance by the U.S. would cast doubt on the integrity of the global nuclear monitoring system of the IAEA, which has assessed that Iran remains compliant. It would also threaten the viability of the multilaterally negotiated JCPOA, and reopen a pathway to an Iranian nuclear weapon. The cascading effect would in turn further deepen the East Asian nuclear crisis, raising doubts about the good faith commitment of the U.S. administration to any international negotiations to resolve the North Korean nuclear crisis peacefully. Why would North Korea, China and Russia even begin talks with the U.S. to find a peaceful resolution to the nuclear impasse on the peninsula?